Comfortable casual clothing is the best way to show off your personal style meanwhile making sure that you’re comfortable. 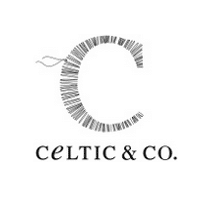 Celtic & Co is a company that specializes in clothing for women, men, and kids. Most of their products are made out of genuine sheepskin, particularly their shoes. When you land on the front page of their website you can browse through their regular clothing options, sheepskin boots, sheepskin slippers, other types of footwear, home decor, and more. To get the best discounts on various products, make sure that you visit the “Clearance” page from the top of the home page. For most up to date offers check out Celtic & Co. on Facebook and Twitter or contact Celtic & Co. Support for any questions.